Option Forms to be filled for Pension, Family Pension and National Pension Scheme. Notice to esteemed customers of the Bank. 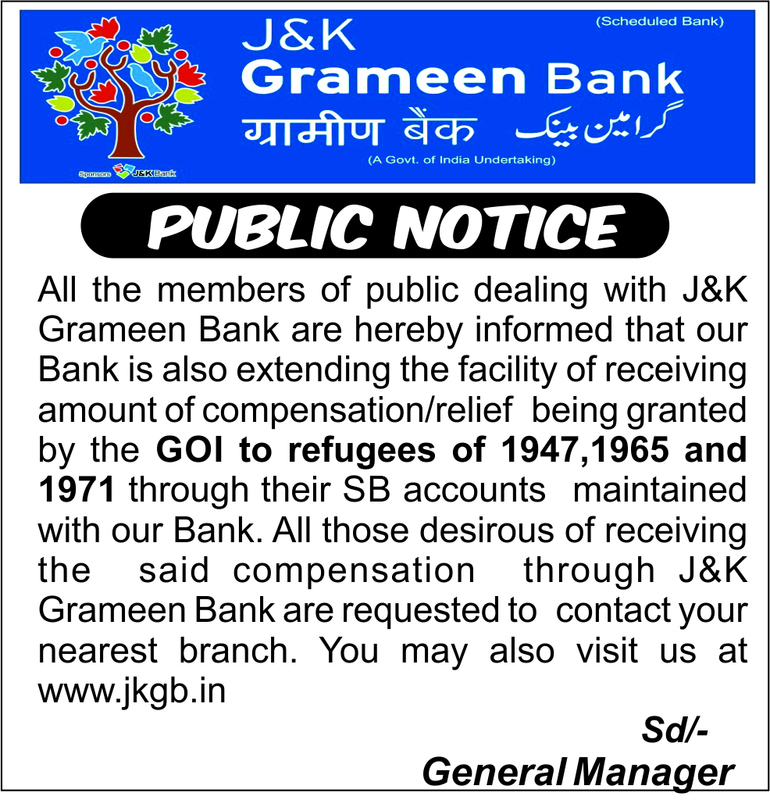 J&K Grameen Bank never ask details like Card Number, PIN Number,Account Number, Date of Birth, regarding recruitment, or any other details over phone or in person. Anti-social elements are trying to elicit information in the name of J&K Grameen Bank or Bank Officials.Hence, we request our esteemed customers not to give any details of their Account, Debit Card or Credit Card or false Recruitment promises.